Two forts protected the Lahn crossing of the Limes during Roman times. 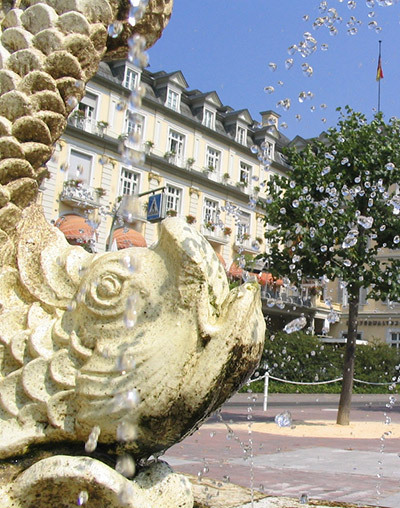 Bad Ems has been developing into one of the most important spas in Europe since the 14th century. 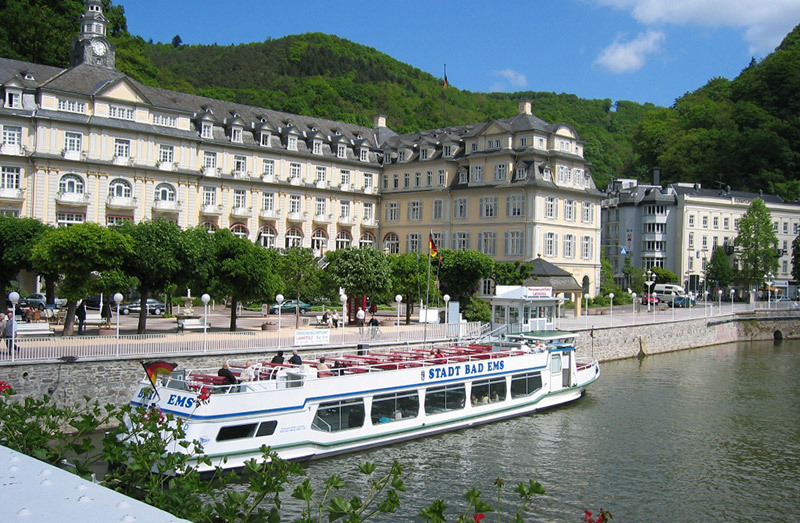 Besides the mineral springs, the unique spa architecture and the river landscape, there are attractive Events such as the Lahn festival “Gegen den Strom” and Germany’s biggest flower carnival. Baroque spa castle with Brunnenhalle (fountain hall), marble hall, casino, spa theatre, Russian church, Kurwaldbahn, Limes towers, historical spa park, promenade Römerstraße, Haus der vier Türme (“House of the Four Towers”), Quellenturm. There were two forts in the distirct Bad Ems. The Roman finds can be visited in the new Limes section of the Spa and Town Museum. was only levelled in front of the fort. 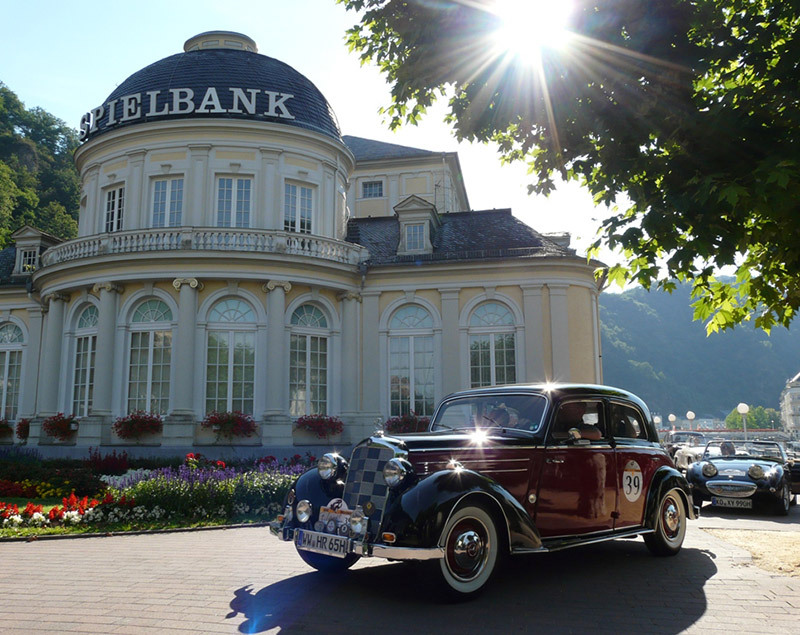 on the Blöskopf above Bad Ems. Tower with a panoramic view. 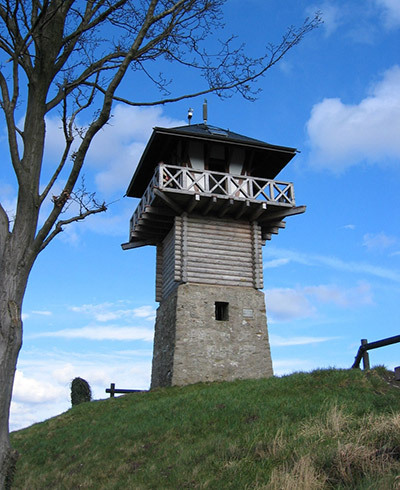 On top of the hill is the Stefansturm or WP 1/84 (height 18m), an accessible reconstruction of a Limes watchtower in a very exposed position at 430m above sea level. The tower has many interesting features to explore. The tower is beautifully located in the middle of the Nassau nature park, and can be reached by a 15 minutes’ walk. The ramparts and the ditch are very well preserved, and accessible from a circular walking trail.